We originally hand cut stencils of all of the letters of the alphabet to hand stencil cocktail napkins, Christmas stockings and lavendar filled sachet pillows. The letters have been taken from books and manuscripts from the Italian, German and French Renaissance. 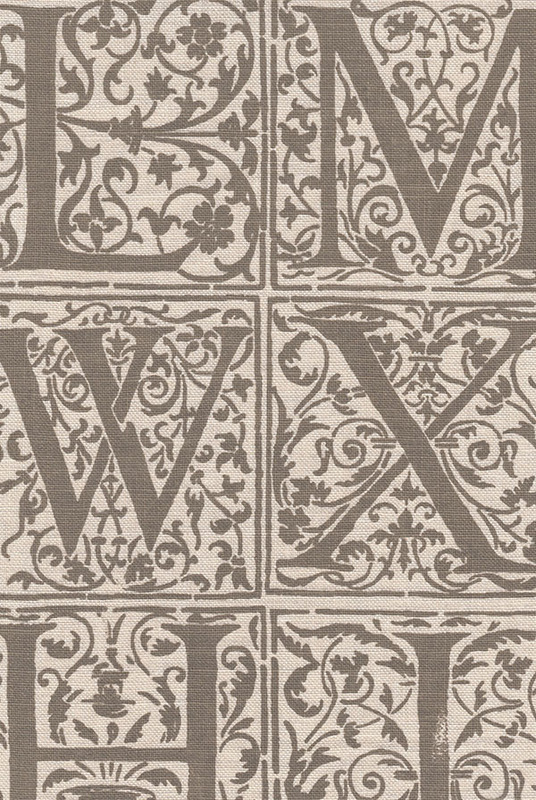 When we began doing our hand printed line of fabrics we thought to put all of the letters in order and create our Alphabet fabric, which has become very popular for nurseries, children's rooms and libraries.